Dealing with an Unhappy Customer | Sub Prime Auto Leads - Car Sales Leads - Special Finance Car Loan Leads by CyberLead, Inc. If you work in a car dealership, especially in a sales position, you deal with customers face to face every day. Even in the online world we live in today, foot traffic is still the backbone of sales in the automotive industry. And while a sales job can be a rewarding and lucrative profession, it is not always easy; especially when you have to deal face to face with an unhappy (and perhaps angry) customer. Following are few tips that may help you to adjust your mindset and react properly and professionally when faced with the difficult situation of dealing with an unhappy customer. Take a moment, breathe, and try to understand why a customer might be angry. Step into their shoes for a second. Is there a valid reason for their outburst of anger? It is most important to first listen to everything that they have to say, and ask questions later. A salesperson must be an active listener at all times. Really listen to what the client has to say before you make any unnecessary judgments. In many cases, the customer just wants to be heard and they may be able to provide important feedback about a problem in your dealership that you were previously unaware was happening. Don’t start thinking about how you are going to respond while the customer is still talking – listen first! Once the customer has finished stating their grievances, repeat their concerns as you are answering their questions to ensure that you are addressing the specific problem. It is okay to ask the customer questions to make sure you understood them correctly – but wait until they are done talking. When a customer is speaking to you, look them directly in the eye. Respond with head movements to show that you are actively listening to what they have to say. Don’t seem disengaged or uninterested; it can increase their anger or dissatisfaction. You may not have an immediate answer or solution the customer’s problem. Be honest about it – don’t pretend that the issue will be immediately taken care of it won’t. If the problem cannot be immediately rectified, explain that you will have the issue investigated and get back to them. Then – keep your word and get back to them. Really listening and showing respect to an irate customer can let them know that you are taking their concerns seriously. If you are honest and always follow up with a resolution, the customer may actually return for service again. Use negative feedback as an opportunity to review your customer service techniques and be realistic about where your dealership can make positive changes. It is possible to turn an unfortunate experience into a positive learning practice for your car dealership. If your car dealership offers subprime financing options to customers, partnering with a successful lead generation company can help to increase sales. 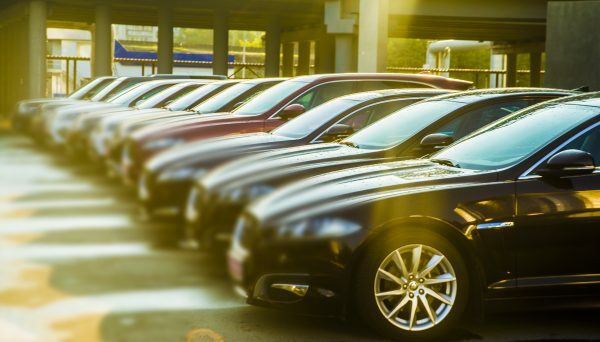 If you partner with SubPrimeAutoLeads.com, your dealership will benefit from increased sales, more exposure, targeted marketing and higher customer retention rates. Visit our website: Subprimeautoleads.com or call 866-944-9815 today to expand your business reach and increase your automobile sales potential today.